If you have done some kind of linked server setup, it shall be easy for you. Here are some steps you need to follow in order to setup MySQL as Linked Server using MySQL OLE DB Provider. 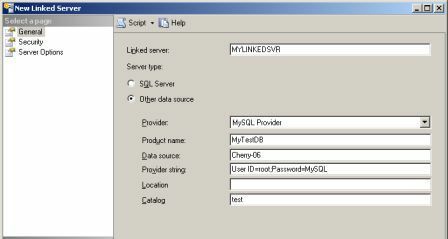 The current implementation regarding linked server works with MySQL 5.0 or newer. There is no plan to make it also work with MySQL 4.1 or older.